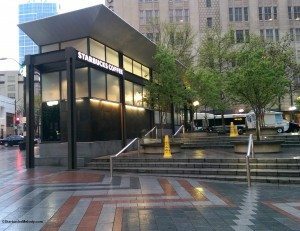 You can follow me on Instagram if you like more Starbucks photos, all the time. 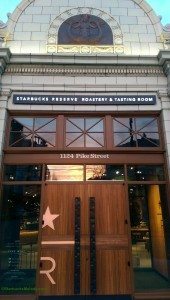 One morning I was standing outside the doors of the Starbucks Reserve Roastery and Tasting Room just before the doors opened at 7:00 AM. You could see a bit of the sunrise to the east in the reflection in the doors. Love it! 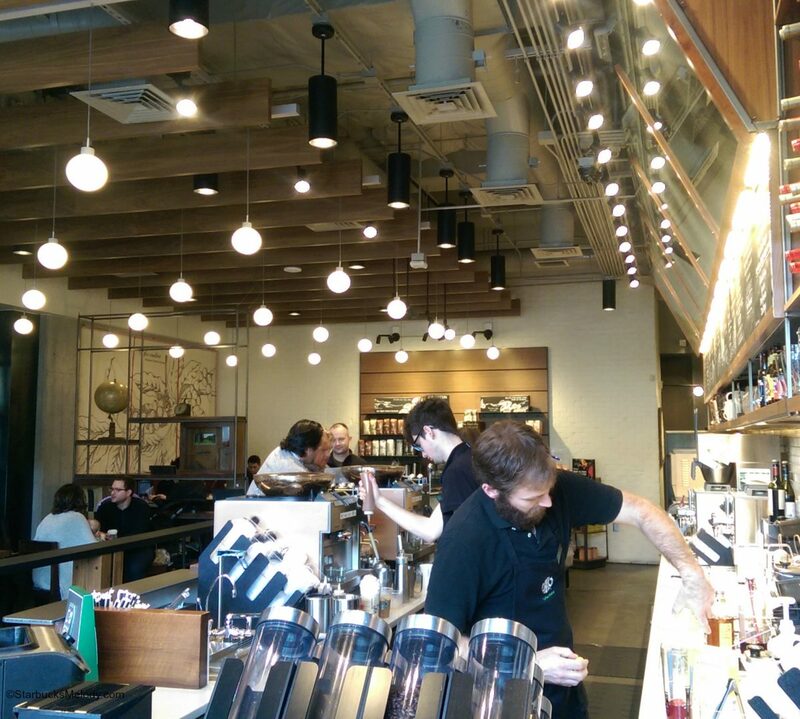 I was at University Village 3 Starbucks, and I wanted to capture just a moment of a busy store in action. I happened to really like how this came out with the two partners both working on drinks. Since this store isn’t in my neighborhood, sometimes several weeks go by before I visit, but I always have a good experience when I’m there. Snacks at Starbucks! New Peeled Snacks Apple Clusters! Follow these 4 fundamentals for coffee at home that's as perfect as in a Starbucks! New Starbucks store experiences: Long Beach and Seattle.